All staff photos published in the Record-Eagle print edition during the week of Jan. 31 - Feb. 6, 2010. Note: Some photos may not be available until late afternoon on the day published. Photos published on Saturday and Sunday may not be available until Monday. 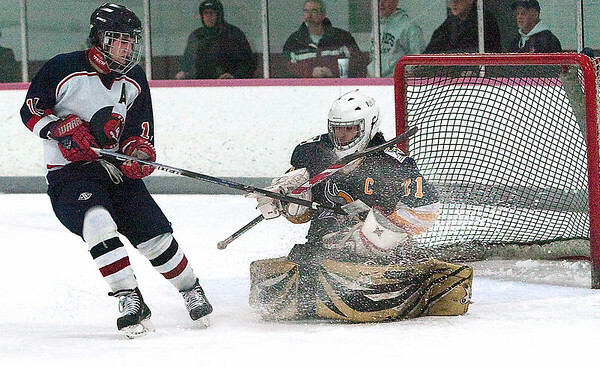 Cadillac goalie Mike Boike stops a shot by the Reps Jake Peacock in the Vikings 3-0 win at Centre ICE.